Here is a new version of the previous map pvp The Walls Map. In this new version we find developments in the field, but remains divided by giant walls of sand, we now find a central area, where no one can enter until the clock reaches zero. Players have 20 minutes to prepare for battle. In The Walls 2 Map 1.3.2 also will not find diamonds in any of the four areas for players, but the diamond is in the center, so only the faster player wil get them. We also find chests that provide objects that otherwise we couldn’t get in this “limited” world. Definitely a fun map to have a good time with your friends. 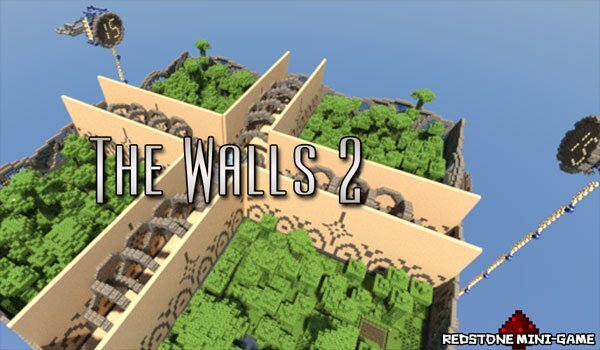 How to install The Walls 2 Map for Minecraft 1.3.2? Prepare and end with your friends!